This December we have a festive First Friday Art Crawl in downtown Peterborough on December 7th, including a Christmas show at Acme Art and Sailboat Company as well as new work in various downtown venues. The Art School of Peterborough will launch their holiday show and sale ‘The Art of Gifting’ on the same evening. 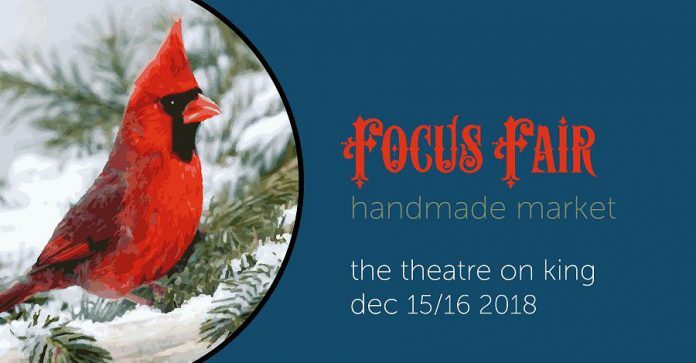 Also in Peterborough, the Kawartha Artists’ Gallery & Studio presents ‘On the Move: Travelling Through The Ages’, and the annual Focus Fair relocates to The Theatre on King’s new downtown space for its annual Holiday Arts and Craft Sale on December 15th and 16th. If you happen to be in the Bancroft area, the Art Gallery of Bancroft’s annual juried show also opens on that evening. 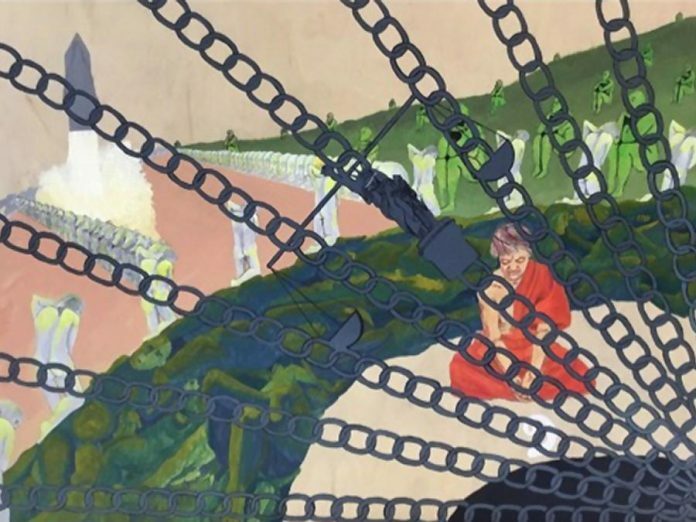 In Cobourg, the Art Gallery of Northumberland in Cobourg is showing ‘Daemon & Saudade’ by Colleen Schindler-Lynch and ‘Women’ (a selection from the permanent collection). 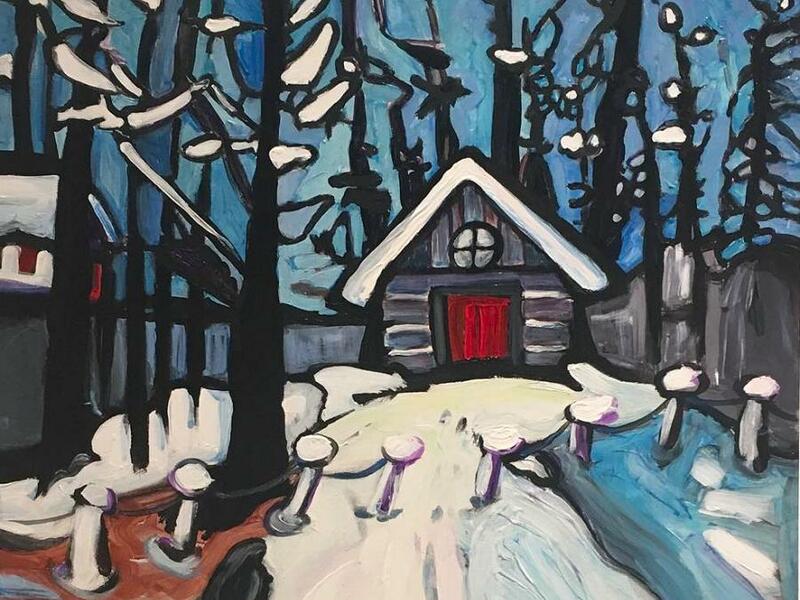 And in Minden, the Agnes Jamieson Gallery presents ‘Landscapes of the North; A Contemporary Vision’ by Jennifer Churchill. 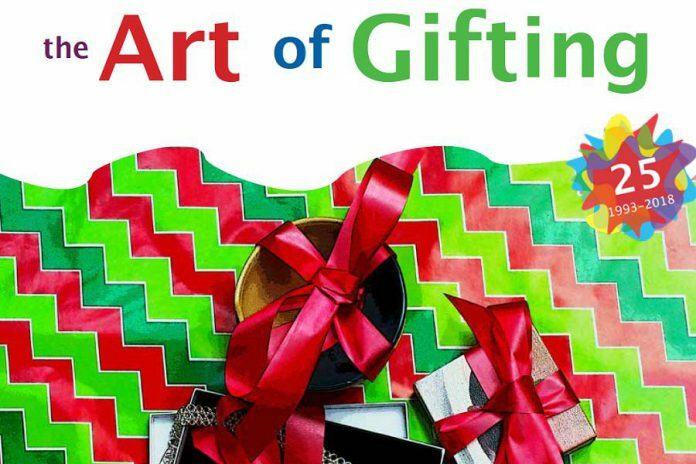 The Art School of Peterborough is hosting “The Art of Gifting” in the Launch Gallery on Friday, December 6th and Saturday, December 8th. The one-of-a-kind gift sale showcases local artists. 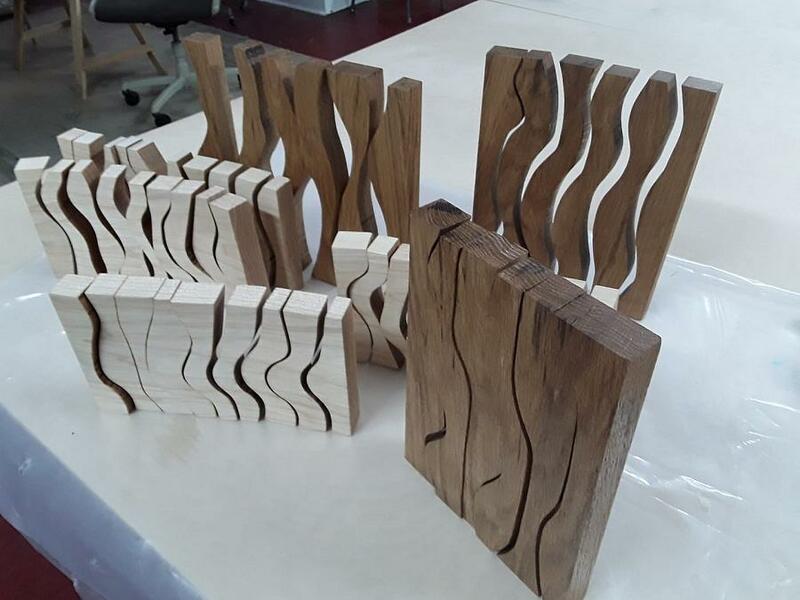 A number of smaller works will be on display, with a wide selection to choose from. So mark your calendars for the first Friday in December and get some holiday shopping done! The event runs from 7 to 9 p.m. on Friday (coinciding with the First Friday Art Crawl) and again from 10 a.m. to 4 p.m. on Saturday. 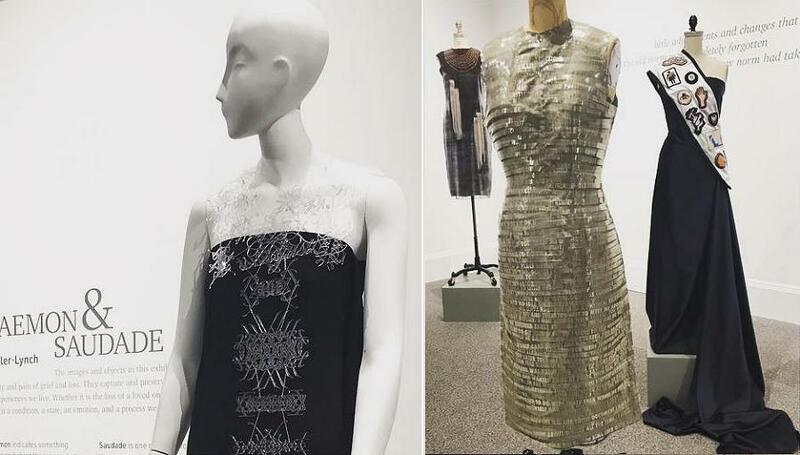 ‘Daemon & Saudade’ by Colleen Schindler-Lynch is a sculptural show that uses garments as art objects, alongside a series of photographic prints. The series is a reflection on loss, grief, memory and experience: feelings which are part of everyone’s life, yet often concealed from plain sight, happening under the surface as we move through life. 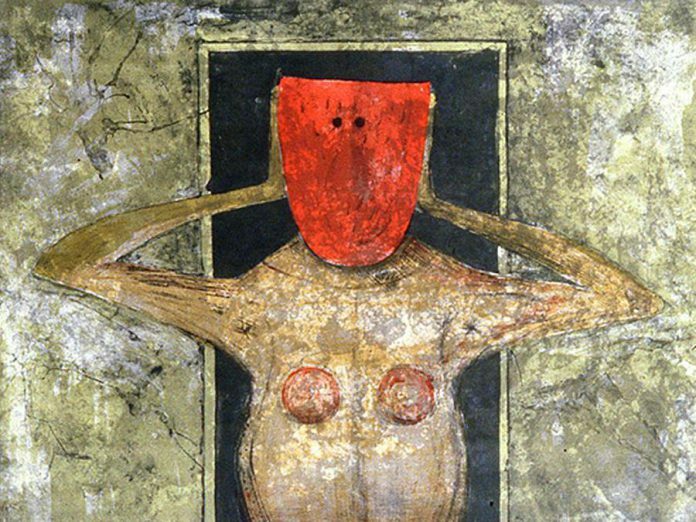 ‘Daemon & Saudade’ captures the beauty and pain of emotion. Currently on display at the gallery, this show continues until Sunday, January 13th. The Art Gallery of Northumberland is located at on the third floor of the west wing of Victoria Hall (55 King St. W., Cobourg). Gallery hours are 11 a.m. to 4 p.m. Tuesday to Friday and noon to 4 p.m. on Saturday and Sunday. The gallery is closed on Mondays. For more information, visit www.artgalleryofnorthumberland.com. On now until Sunday, January 20th, this show highlights women in a carefully curated selection from the Art Gallery of Northumberland’s permanent collection. The gallery has their entire permanent collection online, which is a wonderful way for people interested to see what is stored there. You can peruse the collection at artgalleryofnorthumberland.com/agn-collection/. ‘On the Move: Travelling Through The Ages’ is a members’ show at the Kawartha Artists’ Gallery & Studio dedicated to the history and modes of transportation. On now, with an opening reception from 1 to 4 p.m. on Sunday, December 2nd, the show will continue until Sunday, January 20th. Please make note that the Gallery will be closed for a holiday break from December 22nd until January 1st. Kawartha Artists’ Gallery and Studio is a not-for-profit artist’s co-operative, located at 420 O’Connell Road in Peterborough. Hours of operation are Wednesday to Sunday from 1 p.m. until 4 p.m. The gallery is closed Mondays and Tuesdays. Admission is free. For more information, visit www.kawarthaartists.org. The Art Gallery of Bancroft’s 36th Annual Juried Show will be on display at the gallery beginning Wednesday, December 5th, with an opening reception on Friday, December 7th at 7:30 p.m. This show highlights the work of selected artists in the area and will include a wide variety of styles and techniques. 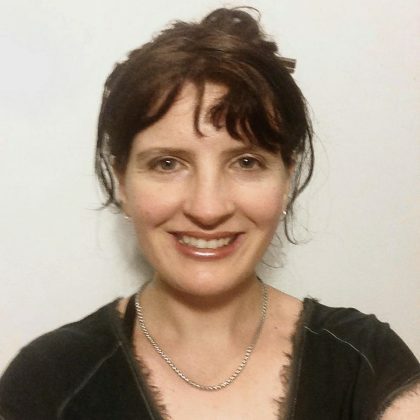 The juror for this year’s exhibition is Caroline deMooy. The exhibition is on display until Saturday, January 26th, so there is plenty of time to drop by when you are in the area if you can’t make it out on opening night. The Art Gallery of Bancroft is located at 10 Flint Avenue in Bancroft. Hours of operation are 10 a.m. to 4 p.m., Tuesday to Saturday (note the gallery will be closed on Tuesday, December 4th for the preparation and hanging of the juried show). For more information, visit www.artgallerybancroft.ca. This December, Acme Art & Sailboat Company in downtown Peterborough is presenting a group ‘Xmas Show’, featuring a number of artists from the area. The exhibit will include works by John Climenhage, Alex Bierk, Shannon Taylor, John B. Boyle, Chey Creig, Paul Oldham, Gwyneth Fishcer, Beth McCubbin, indi, Laurel Paluck, Teresa Anne Van Neste, Robert Atyeo, and Joe Stable. The show will be opening on Friday, December 7th as part of the First Friday Art Crawl, which will also be happening at adjacent galleries in the downtown. The Focus Fair has been bringing a market of handmade local goods to Peterborough every Christmas season since 2005. It was held at The Spill every December and, now that The Spill is no longer in operation, the event will be held this year at The Theatre on King at 171 King Street in downtown Peterborough. This busy theatre company just opened the doors at their new location this summer! Drop in and see the new space in person while getting a bit of Christmas shopping out of the way. The Focus Fair Holiday Arts and Craft Sale runs from 11 a.m. to 5 p.m. on Saturday, December 15th and from 11 a.m. to 4 p.m. on Sunday, December 16th. 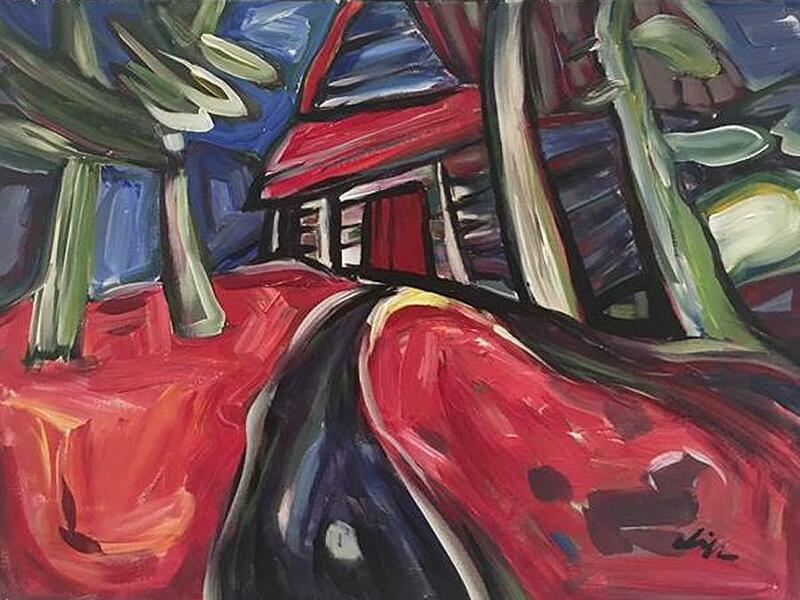 Jennifer Churchill’s latest series of bold and bright contemporary landscapes depicting the Canadian North is currently on display at the Agnes Jamieson Gallery. “I have always wanted to live in a small country cabin, close to water and under a tall canopy of trees,” the Toronto-based artist writes. The show continues until Saturday, December 22nd. 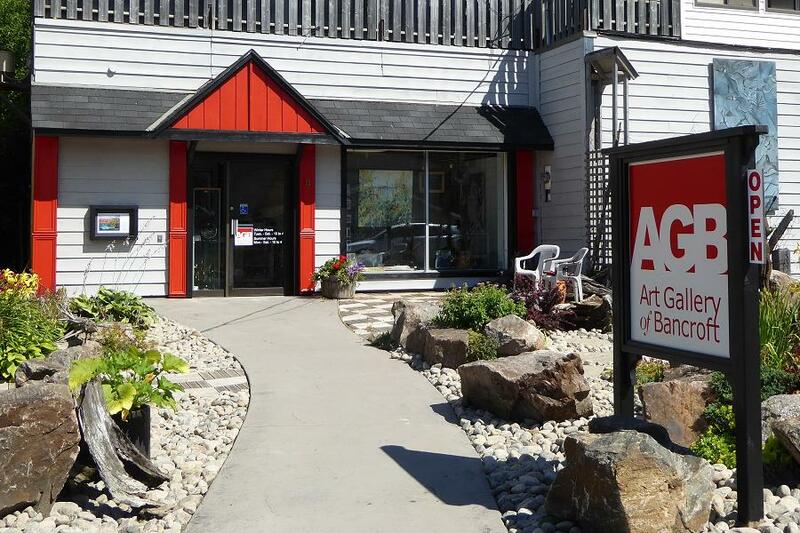 The Agnes Jamieson Gallery is located at 176 Bobcaygeon Road in Minden. For more information, call 705-286-3763 or visit mindenhills.ca/agnes-jamieson-art-gallery/.